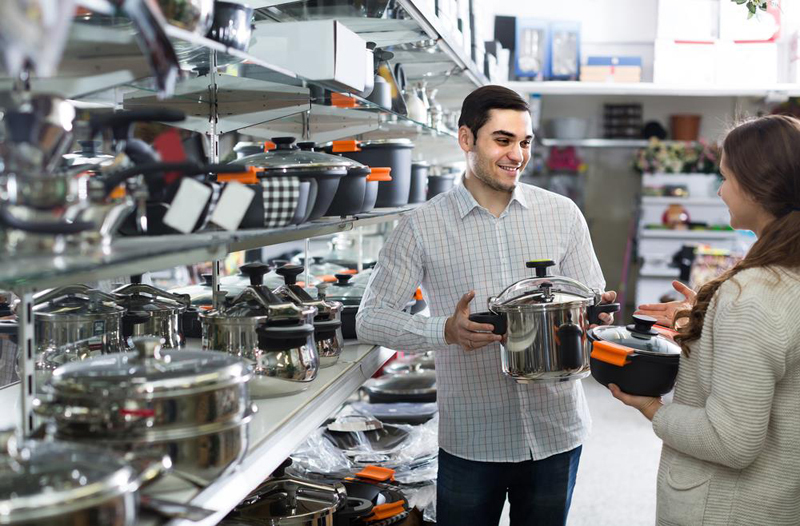 All Clad Cookware is among the top-rated stainless steel cookware sets that are popularly seen at retail sites. 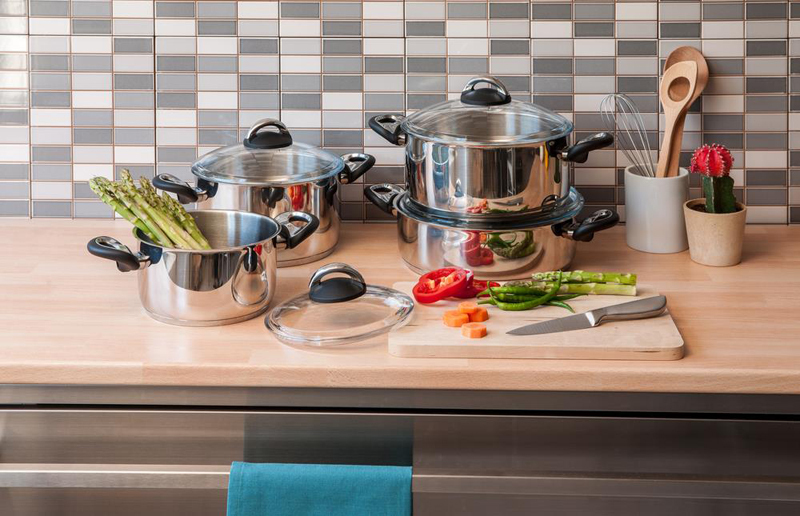 All Clad Cookware Sets are very expensive but it can be a significant investment if you are looking for something that can last a lifetime. It is expensive because they are made in the US and are crafted with only high-quality materials. If you are curious on how to clean All Clad cookware, you are in the right post. Just read this article in its entirety and you will be enlightened on how to maintain your cookware properly. I will also be providing step-by-step instruction on how to do it, as well as some tips and suggestions that will significantly extend your cookware’s lifespan. Once you have gathered all the materials mentioned above, you can now start the process of cleaning your cookware. Begin washing the pans using a soft cloth or a sponge. You may use Barkeeper’s Friend, a powdery cleaning product that is highly recommended by the brand. Once you have cleaned the pans using soap, you can now rinse the cookware using warm water. You may splash a small amount of the fine powder on your kitchen counter and add water to create some kind of a paste. Dab your sponge or a piece of soft cloth into the paste. Apply it to the interior portions of your stainless steel cookware. You can do a circular motion towards the center outward. Gently rub the surfaces until you have covered the sides and the bottom of the pan. Repeat the above step, this time for the exterior portions of the cookware. You can use a toothbrush or a kitchen brush to remove the remnants of food inside the pan. It should also be noted that cooking oils could build up on the exterior surfaces of the pan. You will notice a chocolate brown color in case that happens. To remove these spots, you can also use the Barkeeper’s Friend powder. Dip the cookware into soapy and warm water. Rinse the cookware thoroughly and make sure you don’t leave a film. Once you have rinsed it, you should dry the cookware immediately using a dry and soft towel. If you pan has food crusted in its surface, you can start the cleaning process by soaking it for several hours in soapy and warm water. It is also recommended that you soak this overnight. Remove the water from the pan. Scrub the surface gently using a sponge or a soft piece of cloth. This step will most likely to get rid of the food buildup. Rinse the pan with running water and make sure that the pan is spotless. Dry the pan immediately after you rinse it using a dry piece of cloth. If your pan had heat damage that resulted from it being left on a heat source for too long, you may use baking soda to get rid of the burn marks. You have to ensure that the pan is completely dry. Splash a generous amount of baking soda onto the pan’s surface. Gently rub the baking soda on the surfaces of the burn marks using a dry cloth or sponge. You may add a little amount of water if you want to create a paste-like substance. If this will not get rid of the burn marks, it is highly recommended that you use Barkeeper’s Friend powder. Splash an appropriate amount onto the pan’s bottom and add water. Gently scrub with a wet cloth or sponge. Rinse thoroughly after scrubbing the bottom of the pan. Dry the pans off immediately using a dry piece of cloth. Water spots are usually caused by the minerals found in water and not by water itself. You may start the cleaning process by sprinkling a generous amount of club soda on the surfaces of the pan. Gently scrub the surfaces and make sure to get rid of the water spots. Rinse them off after and wipe them dry immediately using a clean and dry cloth. Vinegar can also be used. You just have to soak the pan and clean them off as usual using a soft cloth or sponge and a dishwashing detergent. Here are some suggestions that you might want to take into consideration. Below you will find tips on how to clean All Clad cookwar﻿e if ever the above steps will not work in removing tough stains and burns on your cookware. 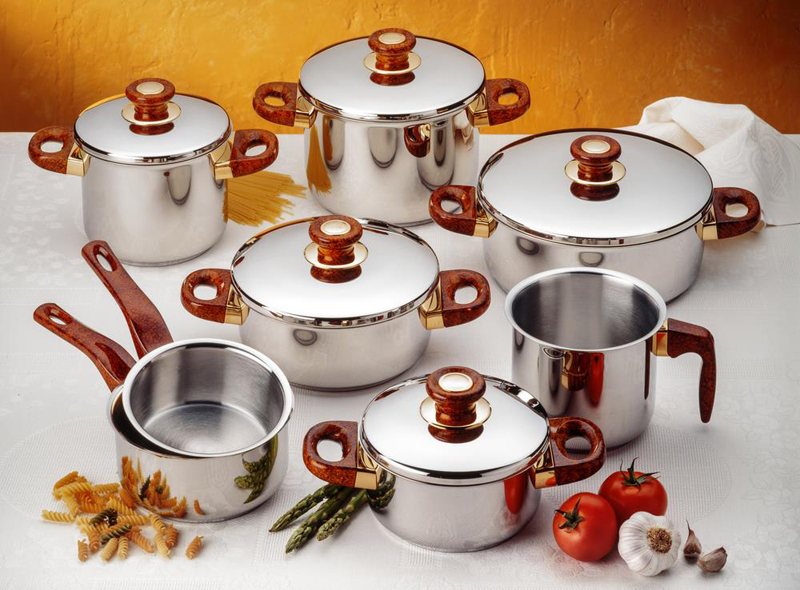 Because of its price range, it is important that you take care of your All Clad set. Regular and proper maintenance will add more years to your cookware’s lifespan. Cleaning your cookware will ensure that you are always consuming clean and fresh food every single time you use it for preparing a meal. To add, it will make sure that you and your family’s health will never be compromised. If any of the above still does not work in removing tough food buildup, water spots, and burn marks, you may fill the pan with enough water and bring it to a boil. You may also add a sprinkle of salt once the water boils. Doing this will cook away all the elements that you are trying to get rid of. For water spots prevention, you have to dry your pan immediately after washing. Only add salt once the water starts boiling. Not doing this will result to corrosion. To create a temporary nonstick surface for the pan, you have to heat the pan before adding oil. This will ensure that the pan will not become static once it is heated. Allow cold and frozen food sit at room temperature first before cooking it. They are known to stick to a hot pan and will create food buildup that will be definitely hard to get rid of. To prevent burn marks, do not attempt to rush the preheating process by using high heat. Doing this will cause overheating of the pan and will create burn marks. Let the pan cool first before washing it. If you submerge it immediately after cooking in cold water, this might cause an irreparable warping of the pan. If you own expensive cookware such as All Clad, it is vital that you follow the above instructions to make sure that you won’t damage it. 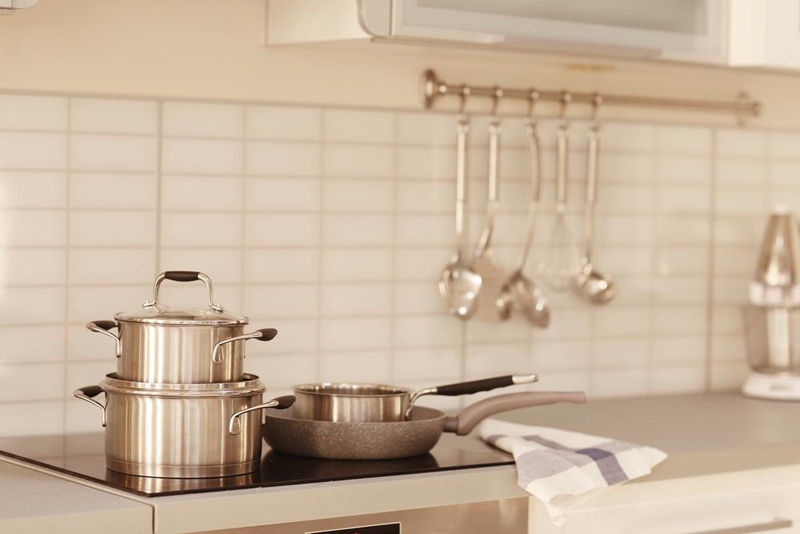 Knowing ﻿how to clean All Clad cookware is a skill that will add more years to your cookware’s lifespan. Once you have mastered it, you have to learn to regularly clean it after every use.